MIRYANG, South Gyeongsang Province -- A rebel in his own right, Lee Yoon-taek is truly one of the country’s few remaining renaissance men -- he is a veteran South Korean playwright, theater director, poet, dramatist and producer. Born in Busan in 1952, Lee has been a pioneering figure in the local theater arts movement. For the past 20 years, he has created 16 plays and adapted 15 works. 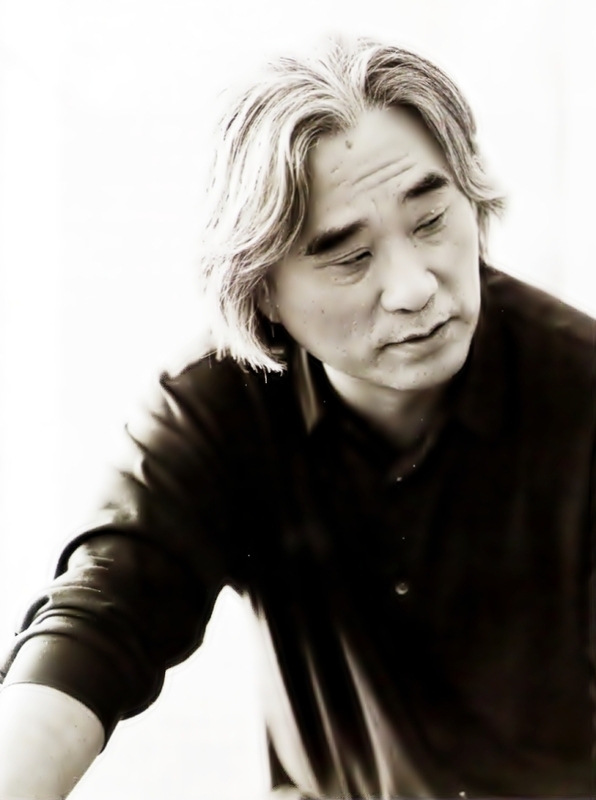 Widely dubbed by the media as the “Cultural Guerrilla,” Lee has the undisputed reputation of having been a key figure in thrashing the cultural boundaries of Korean plays in the ’80s with his daring vision. His themes generally leaned toward serious and dark storylines, as well as delved into the human psyche and the boundaries of social and political morality. “Theater is much more than just entertainment, it’s about community, giving people a voice, and letting the voices be heard,” Lee said to The Korea Herald in an interview at the Miryang Theater Village in South Gyeongsang Province, during the 16th annual Miryang Summer Performing Arts Festival earlier this month. “The best plays are not only ones that make the audience, laugh or cry, it’s the ones that leave the audiences reflecting on the storyline even after leaving the theater,” he added. Although a theater savant, Lee started out as a budding wordsmith publishing poetry. In 1979, the director published his first poem in the local literary magazine “Contemporary Poetry.” He then began work as a journalist at the Busan Ilbo while continuing to publish poems and various literary features, including a book of poetry and a collection of critical essays. However, when Lee began seeing independent theaters in his hometown struggling financially and shutting down, he decided to quit his reporting job and open his own theater and troupe – the Theatre Troupe Georipae, which celebrated its 30th anniversary this year. One of the director’s biggest claims to fame is his 1989 play “Ogu – The Ritual of Death,” which was staged at this year’s Miryang Arts Festival this month. The play is not only one of the director’s most successful theater productions, but also one of the most acclaimed original Korean plays. Its story line touches upon traditional shamanistic rituals and depicts Korean cultural constructs about life and death, while melding both satire and humor into the script. 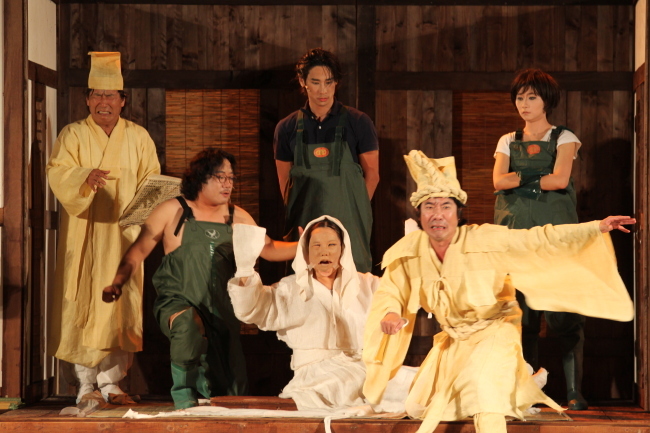 “Ogu -- The Ritual of Death” was also Theatre Troupe Georipae’s first production to be invited to be staged overseas. In 1990, the troupe performed at the Tokyo Performing Arts Festival, the World Theatre Festival in Essen, Germany in 1991 and at Haus der Kulturen der Welt in Berlin in 1998. In 1996, Lee chose to tackle an adaptation of one of the theater world’s most highly regarded and time-honored productions -- Shakespeare’s “Hamlet.” His rendition of the classic English tale captured the attention of international theaters and he was invited to stage the show in Russia, Romania, Germany and Japan. 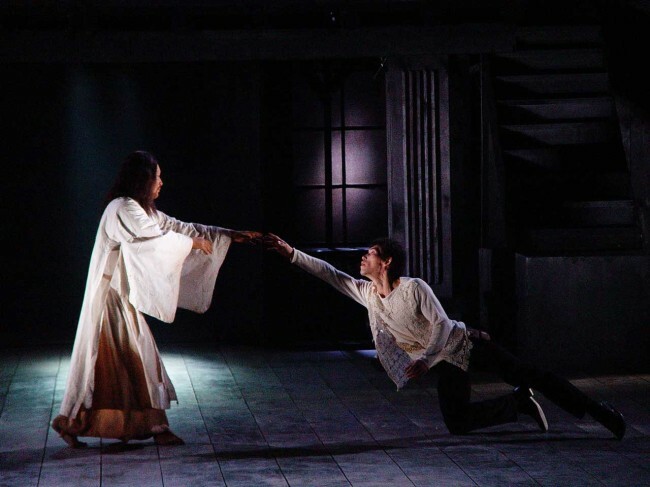 However, despite the Theatre Troupe Georipae’s many globetrotting pursuits, one of Lee’s most fundamental artistic values -- aside from steering clear of trendy, mainstream cultural themes -- is to help Korea’s regional arts scene to flourish. “I think it’s terrible for Koreans to solely associate the theater arts with Seoul,” said Lee. “I was born in Busan. It is my hometown. One of my biggest dreams is to establish my own grand theater in my hometown of Busan and have that theater remain there even 100 years from now, long after I’m gone, for the local people to continue to be exposed and grow to love watching plays,” Lee added. This year also marks Lee’s return to his poetry roots, as he released his first book of poetry in 20 years. On July 5, the poet released his latest book “Going to the Woods” – his fifth book of poetry.